I am so excited to offer this $100 Southwest gift card in this giveaway. It's so simple to enter and you can enter as many times as you want for more chances to win. All you have to do to enter is take a selfie with one of my photographs that are displayed right now at the Nashville International Airport and post it on Instagram with the hashtag #rbarrowimages. You can take as many selfies with as many of my pictures as you like and you will be entered once for each photo as long as it is it's own post and has the hashtag #rbarrowimages. For even more chances you will be entered an additional time for each friend you tag on each post. You can find my prints in concourse C across from gates 10 and 13 in the Nashville International Airport from September 1st through November 26th 2017. 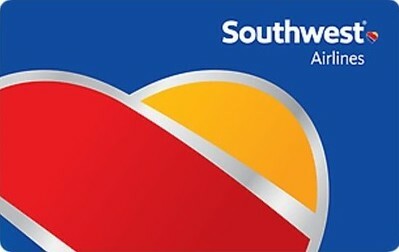 -The prize is one $100 Southwest Gift Card. -The deadline for posting pictures will be November 27th at midnight CST. -The winner will be chosen in a random drawing and announced on December 5th 2017. -To qualify you must be 18 years or older and be a resident of the United States. -No purchase necessary and any purchase will not enhance the chances of winning. *This giveaway is put on by RBarrow Images and is in no way sponsored, endorsed or administered by, or associated with, Instagram, Southwest Airlines or the Nashville Airport.